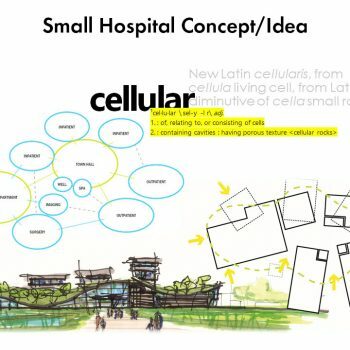 Design a concept for a small hospital that provides a patient-centered healing environment with a near-zero energy impact on the environment while using the latest technology to improve quality and reduce costs. 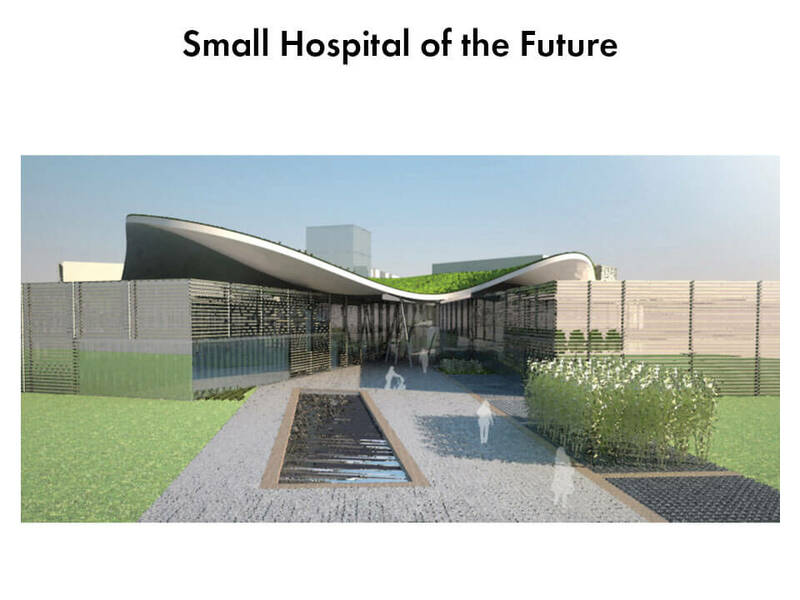 Provide an innovative, technologically advanced safe healthcare environment which ‘thrives’: connecting the art and science of healthcare practice in a community based model of care delivery. 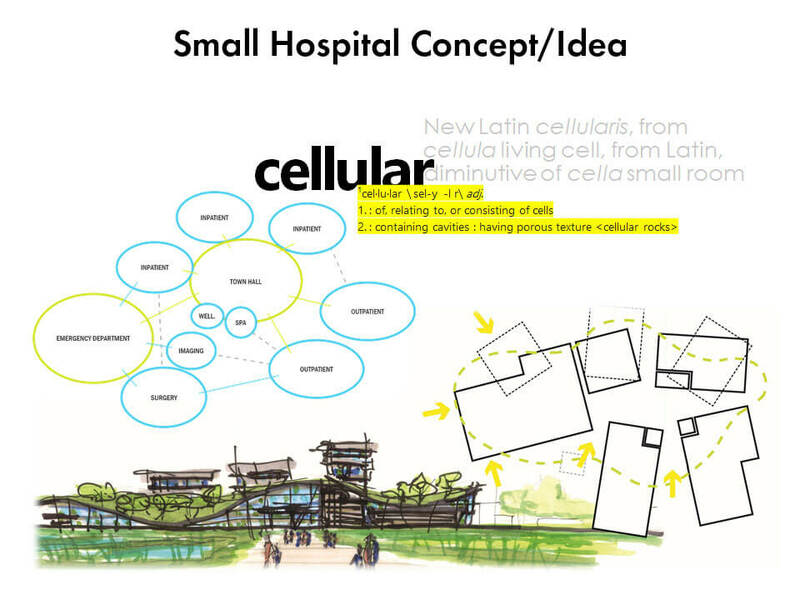 Architectural design will not only foster new and innovative practice, but help shape it for patients, families and caregivers as well as the community they live in. Continuum of illness and wellness encompasses three core domains: architecture, clinical care and process engineering, moving between and throughout the domains. Healthcare delivery system incorporates the art and science of patient care, the environment of care and the operations of care. A flexible, adaptable + expandable facility with no down time. 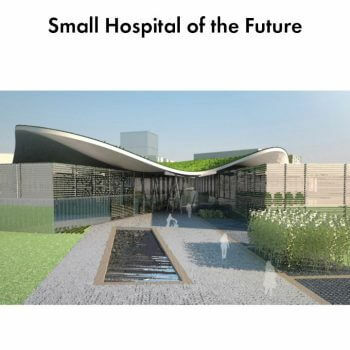 The site is adaptable to terrain or size. 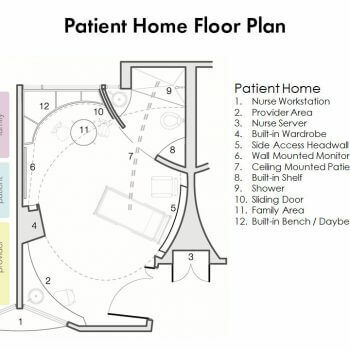 A modular 32’ x 32’ structural grid with flexible care neighborhoods that can be used for inpatient or outpatient services. An interventional platform. Observation neighborhoods allows for shared departmental output flexibility. Universal rooms & neighborhoods. Operating rooms sized to fit multiple modalities and procedures. 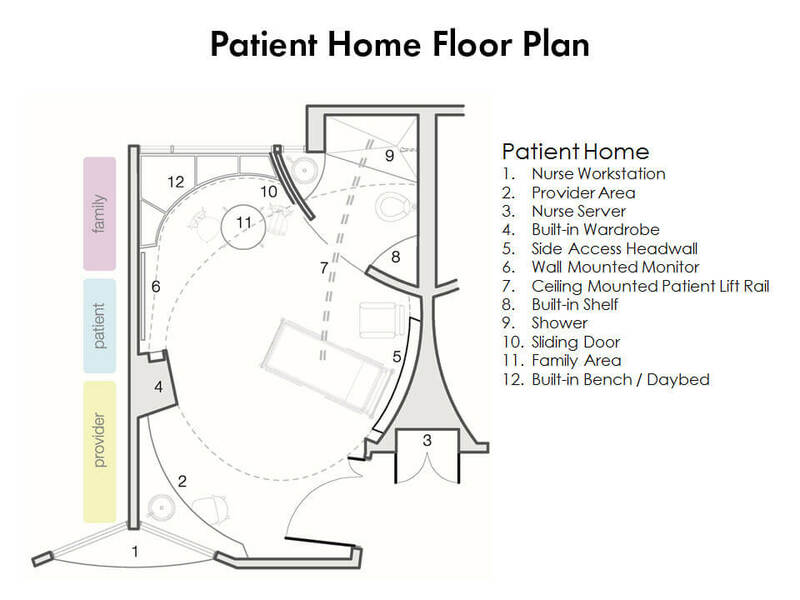 Multiple track ED with flexible units + observation points to reduce wait times, personalize care + reduce staff. Multiple devices and locations to access data connected to system. Plug & play modules. Kiosks for check in throughout.